Product Description: Calming & Slightly Warming Chamomile, saffron, licorice, ginger root, fennel seeds, rosebuds, spearmint, rose hips, lemon grass, tulsi (holy basil) natural orange flavor. 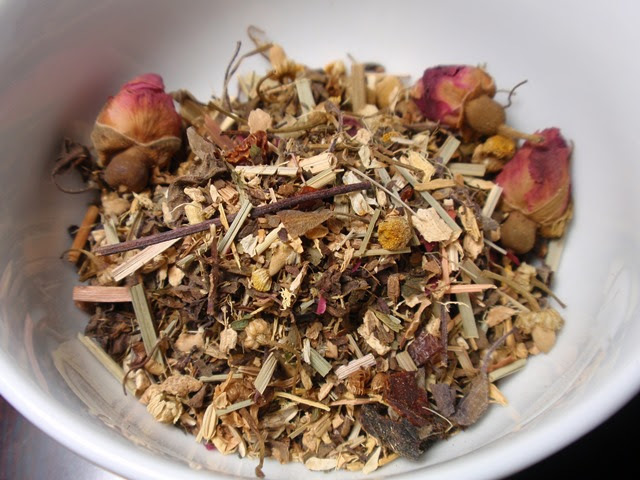 The dry leaves are an aromatic blend of chamomile, saffron, licorice, ginger root, fennel seeds, rosebuds, spearmint, rose hips, lemongrass, tulsi, and orange flavor. The orange amber infusion has a heady aroma with mint, lemongrass, and rose notes coming to the front. The flavor is sweet with notes of cool licorice, minty and floral with a long mint and licorice finish. 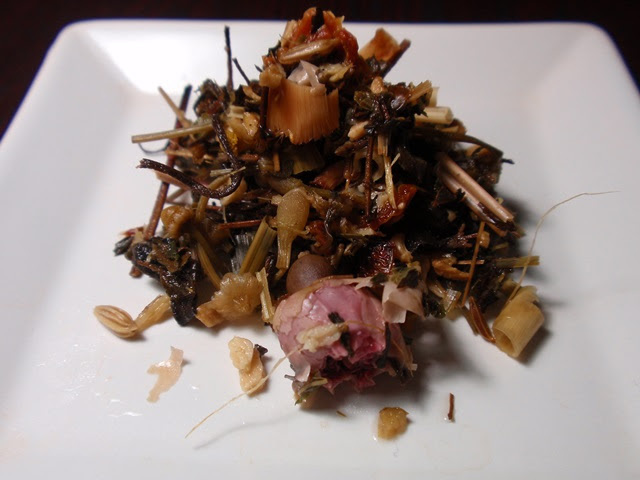 This herbal blend has a refreshing cool taste while creating a warming internal sensation. 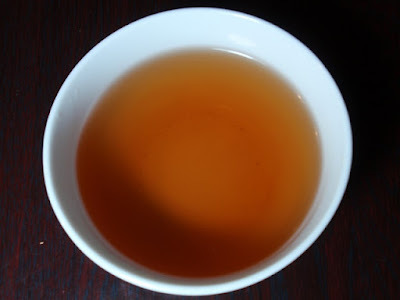 Best results are in the first infusion, though a second infusion brought a chamomile aroma to the front. Results will likely vary slightly depending on how much of each ingredient is steeped.